The reason we organize unions in the first place is because through collective action we have more power. 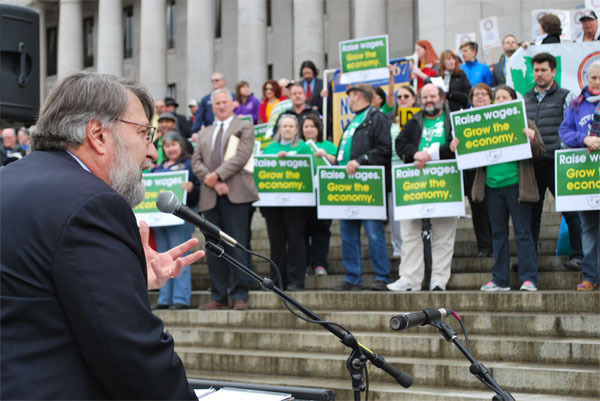 By joining together, union organizations affiliated with the WSLC can speak with one strong voice in Olympia. Important workplace rights and standards won at the bargaining table can be lost with the stroke of a politician’s pen at the Capitol. The WSLC has fought hard to maintain those standards and to attain new ones in areas ranging from collective bargaining to prevailing wage, from unemployment benefits to workers’ compensation. The WSLC also helps its affiliates develop legislation to address industry-specific issues of concern. For more information about the WSLC’s legislative program, visit our Legislative Advocacy page or contact the WSLC Government Affairs Director Joe Kendo at 360-943-0608. The WSLC has an aggressive program to educate rank-and-file union members around the state on where political candidates stand on working people’s issues. The WSLC’s political education program, considered a national model by the AFL-CIO, offers instruction and assistance for unions interested in voter registration drives, candidate training for union members, establishing and building political action funds, and communicating with members via mail, phone and worksite leafleting. 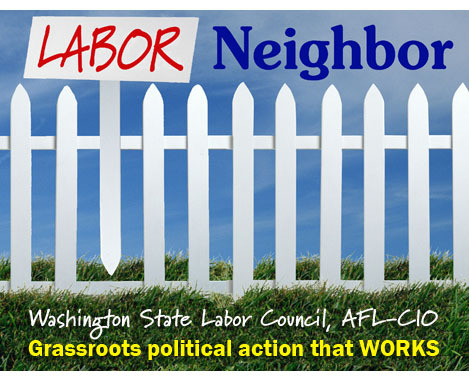 It also pioneered the Labor Neighbor program, where union members hit the streets to talk to other union members about issues that matter to working people. For more information, check out our Political Action page or contact WSLC Political and Strategic Campaign Director April Sims at 206-281-8901. For more information about the WSLC’s Workforce Development Department, visit our Workforce Development page or call 360-570-5161. For specific questions about dislocated workers, incumbent workers or layoff aversion, contact Bill Messenger at 360-357-8736 or Caitlyn Jekel at 360-705-9469. For questions about apprenticeship, college or K-12 education, contact Kairie Pierce at 360-570-5167. In addition to using this website, the WSLC’s award-winning news service The Stand, and other communications tools to help our affiliated organizations disseminate information, the WSLC is available to help its affiliates plan media strategies for events and campaigns. Assistance in preparing news releases, publicizing events, and developing union communications are all available through the WSLC. Just contact Communications Director David Groves or call him at 206-281-8901. Effective union organizing drives often require the support of the community. The WSLC can help rally the support of community leaders, elected officials and other unions’ members in the area to assist in successful organizing. The council is also a valuable resource of information and literature on the benefits of joining unions. The WSLC has two labor liaisons for the federal Workforce Investment Act (WIA) who conduct “rapid response” activities during layoffs and plant closures to make sure that the affected workers have access to the best job retraining and re-employment program opportunities available. Assistance is also available with applying for unemployment and other benefits available to these working families during their time of crisis. For more information, email WIA Labor Liaison Bill Messenger or call him at 206-388-8340, or email WIA Labor Liaison Caitlyn Jekel or call her at 253-301-8261. The WSLC is working to increase awareness within the K-12 public school system about certified apprenticeship programs and to increase participation of on community and technical colleges’ program advisory committees. For more information, contact Kairie Pierce via email or by calling 360-943-0608. A program, jointly administered by the WSLC and the Washington State Department of Labor and Industries, to assist injured workers in the early and successful resolution of workers’ compensation claims. 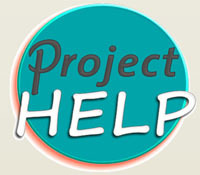 Visit the Project Help website for more information, or you can call 1-800-255-9752, email Project Help Director Viona Latschaw, email Claims Specialist Kathy Petruzzelli, or email Claims Specialist Jessica Gallardo for more information. Various members of the WSLC staff conduct shop steward training and general membership workshops on a wide range of issues. Training union activists to be union leaders of the future is critical to the strength of the labor movement, and the WSLC places a high priority on helping its affiliated unions conduct training sessions for their activists. If you are interested in requesting such workshop assistance at your union, please fill out our Workshop/Staff Request Form (check back soon). Assistance is available to affiliated union organizations with contract and economic research. The WSLC also helps its affiliates develop legislation to address industry specific issues of concern to working people. For more information, contact WSLC Government Affairs Director Joe Kendo. The WSLC can also help your union with its unique needs and specific issues. Affiliated unions can just contact us at wslc@wslc.org or 206-281-8901 or 1-800-542-0904, and request our assistance. We are here to serve you.